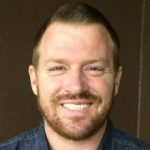 David Worcester writes about the ups and downs that come with college ministry and how remembering who you serve helps you get off that roller coaster. I’m currently planting a collegiate-focused church in the San Diego State area called Compass Church. In just a few short months, I’ve had a ton of ups and downs. We basically started from scratch with three students, my wife and myself in the Spring semester. Even though people were starting to trust Jesus, Jesus didn’t trust them. He knew how flighty people can be. This verse encouraged me at the start of our group when only one or two people would show up for an event or when half of our “regulars” say they are studying for a test on the same day! In the situation in this passage, there was a surge of excitement about his ministry. People were beginning to be curious. It says they “began” to trust in Jesus and as a result, large crowds started flocking to him. This summer our church had its first preview service and it went even better than expected! I was feeling almost a euphoric high of ministry success. This verse is a great warning in times of success. If people bailed on Jesus, people will bail on us. It’s okay to be excited about the work God is doing. There is great joy in working hard with God and seeing spiritual fruit. This is part of the reward of ministry but we have to be careful not to be enamored by crowds. Crowds are really a means to an end; they are not the goal. Too often in ministry we are guilty of making a large crowd our goal. But if the crowd is our goal, then we are not really worshiping God; we are worshiping ministry success! Jesus didn’t trust the people. Instead, he trusted the Father for the results in his ministry. What about you? Are you trusting people or are you trusting God? We must learn not to take too much credit for our successes, or too much blame for our disappointments. When things are good thank God; when things are hard trust God. Even though our ministry is to people, our ministry is not done for them. It’s for God. We minister to people in order to please God. If God’s glory is our goal, then we are free to do our best and trust God for the rest. We should care about results, but not to a point that it either steals our joy or becomes the source of our joy. Have I been falling more in love with Jesus or have I been intoxicated by ministry? Has my lack of ministry success robbed me of my joy in Christ? We don’t know each person’s heart the way Jesus did, but we do know that if we are reaching unsaved people we can’t expect them to act like saved people. In addition, if we are reaching young believers, we can’t expect them to exhibit the fruits of maturity right away. One of the prices of designing a ministry targeting people who are disconnected from the body of Christ is that they haven’t made going to church a habit yet. They don’t know how much they are missing out by just coming once or twice a month. They don’t realize that true life change can’t happen half-heartedly. I’m realizing that most of ministry is simply responding to how God is already working in people’s lives. We can’t change people who are not ready to change; that’s God’s job. What we can do is work with God in what he is doing in people’s lives. You will save hours and even years of ministry effort if you will get this one principle. We would be wise to follow Jesus’s strategy of teaching the masses, touching many through momentary healing touches, one-time meetings, brief words of encouragements and prayers, and only training a few deeply. If you take out one of these elements of Christ’s strategy, you won’t have as big of an impact. If you don’t sow the gospel broadly, you won’t find those who are ready to respond. If you don’t spend time making personal touches with the people, you will be disconnected from your flock. If you try and train someone who you should just be touching base with, then you will be wasting a lot of time. And if you don’t train the few who are truly hungry, you end up wasting your chance to multiply your impact! Once you have found the few potential ministry leaders who are trustworthy, invest deeply in them! 2 Timothy 2:2 says, “And the things you have heard me say in the presence of many witnesses entrust to reliable people who will also be qualified to teach others.” As you entrust your life to a few trustworthy men and women, you will have more qualified people to help you teach and touch the untrustworthy masses with the gospel! Teach the masses, but only trust and train the few! May each of us be found trustworthy with the ministry God has graciously trusted us with, and trust Him with the results.